Hosta 'Hippodrome' has been another fast grower for me. 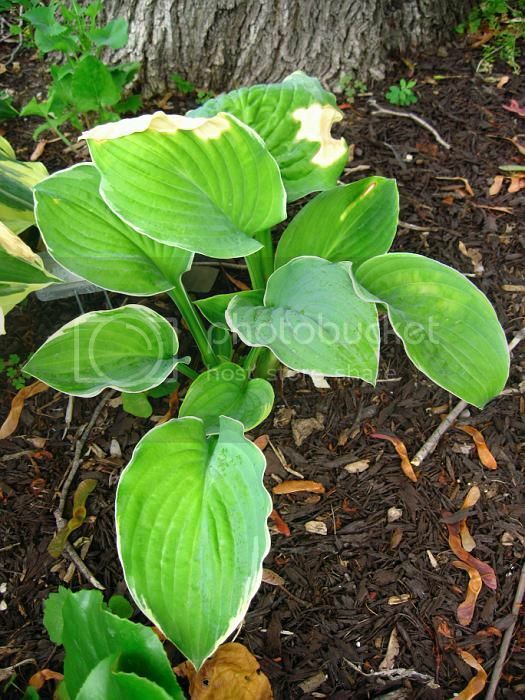 It's listed as a medium sized hosta, but I would probably put it medium/large in size. It has blue/green leaves with a thin cream margin. 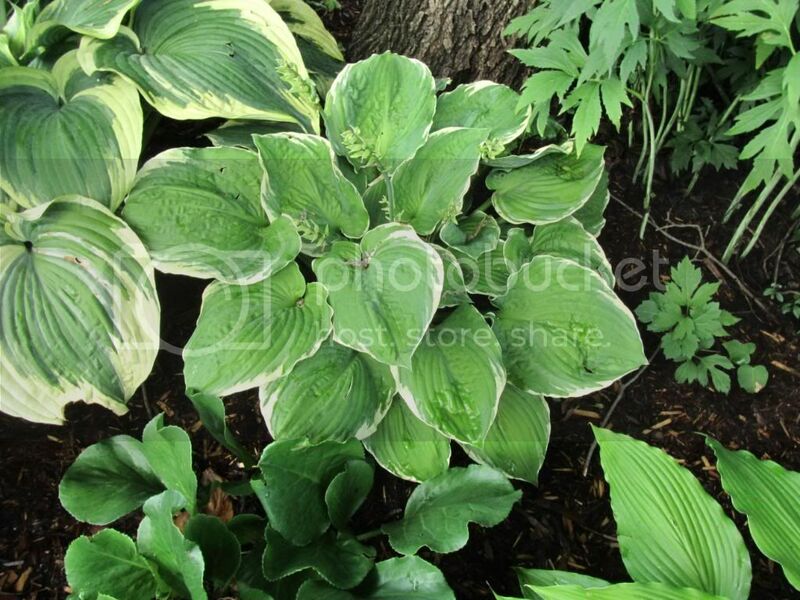 As the hosta matures the edges of the leaves become more rippled. It was one I wasn't sure of when I first planted it, but it has really impressed me in the short time I have had it.